The First by Sweet Professional is the first straightening system in the world in shampoo form, according to Noel Maher Hair Company. 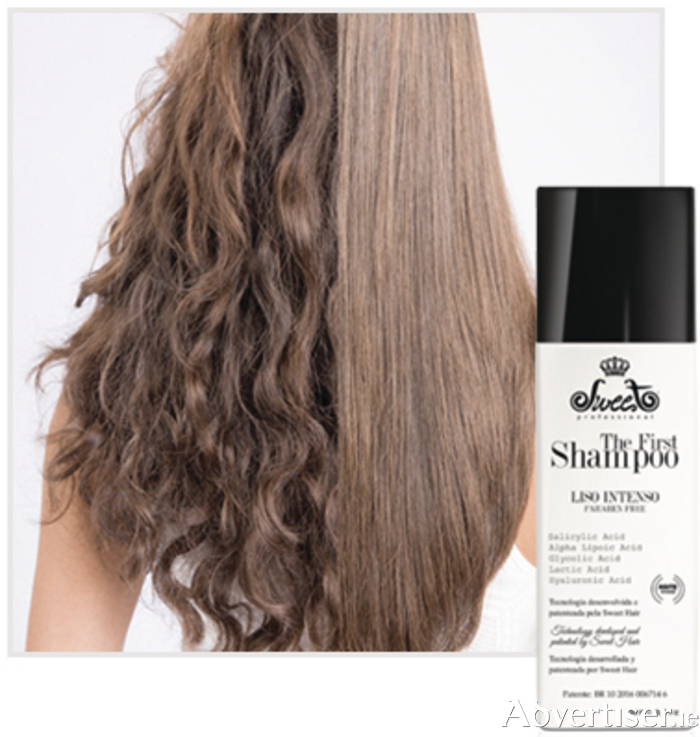 It promises to give you smoother and healthier hair in under an hour. The FIRST is 100 per cent formaldehyde-free and completely safe for you and your hair. The results last up to three months. Its main objective is to make it easy to apply and to reduce hair straightening time in salon. Its in-vitro acid-based formulation completely straightens the hair, something that was impossible up to now. Created five years ago by the renowed bussinessman Paulo Kazaks, Sweet Hair is a professional cosmetics brand that promotes experiences and unique sensory. Through a profound study on the market, the company brought new technologies, fragrances and specific ingridients, finding the exact composition for each type of hair. Sweet developed a high standard of quality, aiming results, beauty and cheers to its clients, from the professionals that use its products to the salon's final consumers who loves the brand. The First is a shampoo composed of a blend of acids that combine with the proteins of the hair. Through the heat interaction, it generates the smoothing effect. The ingredients that compose The First are organic acids, that are presented three-dimensionally, interacting in the cortex of the hair's internal structure. The shampoo has affinity with the hair's keratin and through the acidity and heat source promotes protein denaturation. Such smoothing is not an ongoing process and does not break the disulfide bonds, ensuring compatibility security with other chemical processes and can aid renaturation (hair on the normal structure around six to nine months ). The benefits include easy application, no colour alteration, and no formalin. The shampoo yields 20 applications and not only does it result in a much faster procedure, it also guarantees high performance results. Contact Noel Maher Hair Company at Briarhill Shopping Centre at (091 ) 779804 or its branch at Orantown shopping centre at (091 ) 795740 for further information.